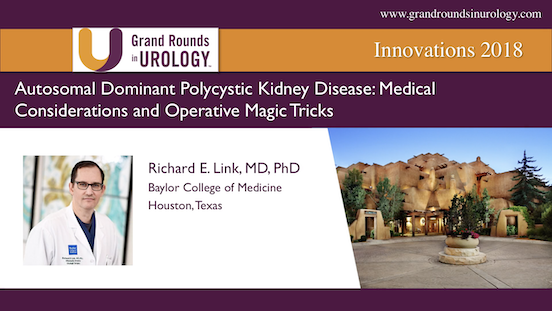 Richard E. Link, MD, PhD, provides guidance for urologic surgeons in the management of autosomal dominant polycystic kidney disease (ADPKD). He discusses relevant literature, patient selection, and he efficacy and safety for laparoscopic cyst decortication, and operative advice for handling massive kidneys during minimally invasive surgery. Wesley A. Mayer, MD, reviews the landmark trials that set the standard of care for cytoreductive nephrectomy (CN) and the impact of targeted therapy on this technique. He discusses recent clinical trials on CN and targeted therapy, as well as data regarding cytoreductive partial nephrectomy. Why Should a Clinician Care About 3D Printing, VR Simulators and Genetically Engineered Animal Models for Kidney Cancer? Richard E. Link, MD, PhD, discusses current challenges in the management of renal cell carcinoma (RCC), as well as research efforts to address these challenges. He specifically reviews 3D-printed models and virtual reality simulation for pre-surgical rehearsal and training, and an engineered animal model for identifying genetic targets in papillary RCC. Daniel P. Petrylak, MD, provides a brief update on the controversial use of tyrosine kinase inhibitors (TKIs) in renal cell carcinoma. 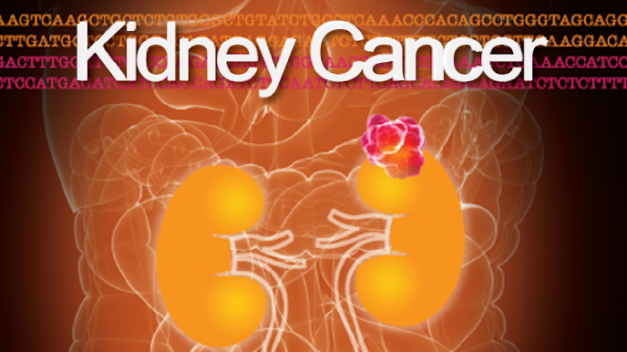 He also reviews a study assessing sunitinib versus sunitinib plus nephrectomy in metastatic renal cell carcinoma. Cytoreductive Surgery in the Era of Targeted Therapy for Kidney Cancer: If Yes, When? Riccardo Autorino MD, PhD, FEBU, discusses the decline in using cytoreductive nephrectomy (CN) for metastatic renal cell carcinoma (mRCC) due to the shift toward targeted therapy in urological practice. He explains the rationale behind CN, its drawbacks, and individual scenarios in which it could provide a benefit, as opposed to targeted therapy and nephron-sparing surgery (NSS). Furthermore, he presents the current therapeutic algorithm for patient selection in these treatment options. Peter Schulam, MD, PhD, reviews the controversy surrounding prostate cancer screening, explains the literature that led to the United States Preventive Services Task Force (USPSTF) coming out with a C recommendation for prostate cancer screening, and notes the limitations in the current standard of transrectal ultrasound (TRUS) biopsy. He then discusses how MRI fusion biopsy could address these limitations. Peter Schulam MD, PhD, emphasizes the importance of staging renal tumors based on weighted risk, including risk of metastases, histologic subtypes, and adverse pathologic characteristics, and not simply mass size. This is essential when considering partial nephrectomy, radical nephrectomy, active surveillance, ablative techniques, or other management options for individual patients. Nephron Sparing Surgery for Large Renal Tumors: Always, Sometimes, or Never? Riccardo Autorino, MD, PhD, FEBU, summarizes the current EAU, AUA, and ASCO recommendations regarding partial and radical nephrectomies, the effect robotic surgery has had in this clinical area, and whether or not nephron sparing surgery is a beneficial and safe method for the management of large renal masses.